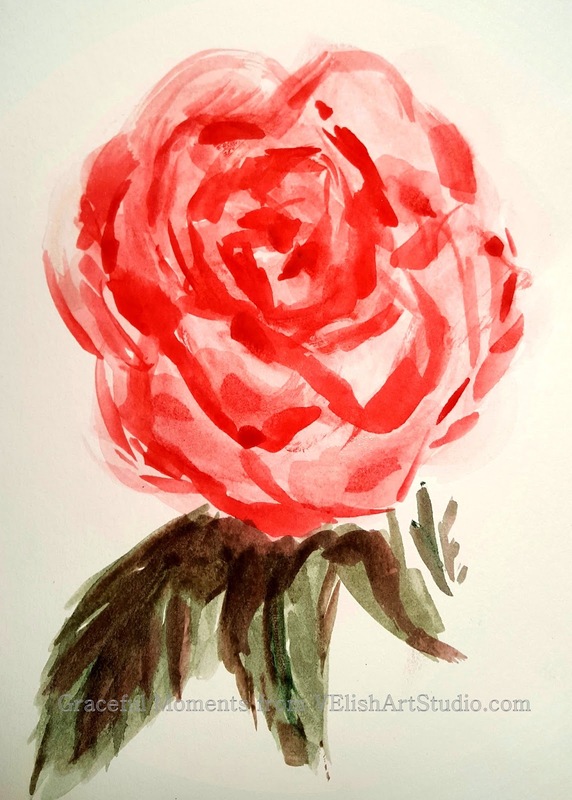 “A Rose is A Rose…” This one was very quick and fun. It made me smile so I’m happy with it. Now, what to do tomorrow?? “Darkness cannot drive out darkness, only light can do that. Hate cannot drive out hate,only love can do that.” – Martin Luther King, Jr.
You're doing so well! Beautiful. You are inspiring me! So far I have not gotten out the paints today!!! Beautiful rose, Vicki. I have not been blogging much so have missed a lot. It is so good to see your work again. Love your cute little Ellie, too. Della, thank you so much for dropping by and your sweet words. What's for sure, your roses bring light and delight; so let's enjoy them.